The Center for Innovation in Teaching & Learning (CITL) invites you to a new Community of Practice on Online Teaching and Learning. If you have been teaching online, have developed online modules for your face-to-face courses, or are just curious about the online learning environment, come share your experiences, successes and failures alike, so as to benefit your colleagues and Lehigh students. If you would like to work with Lehigh's Center for Innovation in Teaching and Learning (CITL) on a class you are teaching in Summer 2019 or Academic Year 2019-20 please submit a brief proposal by Wednesday, May 1, 2019. Someone from the Center will be in touch with you in early May. We are excited to invite the campus community to Lehigh University’s Symposium on Teaching and Learning. The event will be held over two days, April 10-11, and will highlight over 50 different presentations from a variety of disciplines. Learn more and see the full schedule at https://citl.lehigh.edu/symposium2019. We hope you will join us for one, some, or all of the sessions. The purpose of this annual event is to highlight new, interesting, and effective approaches to teaching and learning at Lehigh. Each year, faculty, staff, student, and community presenters from across disciplines and contexts share good ideas and inspire others. Come share an idea, learn from colleagues, and join us as we celebrate the work of those who have met with success of one kind or another in their teaching and learning. The Symposium will be held over two days: Wednesday, April 10th and Thursday, April 11th. The workshop will have sessions on a wide variety of pedagogical and instructional technology topics, including: Course Design, The Art of Lecturing, Active Learning Approaches, Designing Effective Writing and Research Assignments, Online Learning, Course Site assignment boot camp, drones and AR/VR, and much more. This is a great opportunity to learn more about key Course Site features, discuss teaching with colleagues and CITL staff, and to warm up your teaching skills for the spring semester. We will also be offering tours of innovative spaces throughout the day. Please register by 9:00 am, Monday, January 7th. See full schedule of sessions and additional details. Finding a place to do your best studying is an important part of your Lehigh success. Here you'll find some great places and spaces on campus to crack open a book or laptop, settle in, and get into your study groove during exam weeks and all year long! Lehigh University has named Boaz Nadav-Manes as its inaugural Executive Director of Libraries, effective March 1, 2019. This key appointment, the result of an extensive national search, will enable Lehigh to build upon the Lehigh Libraries’ long-standing legacy as a cornerstone of supporting and enhancing scholarship and learning at the university. The Center for Innovation in Teaching and Learning (CITL) Visualization Lab showcases the potential of truly immersive media. Donning one of their advanced VR headsets transports you out of Lehigh to another time and place. 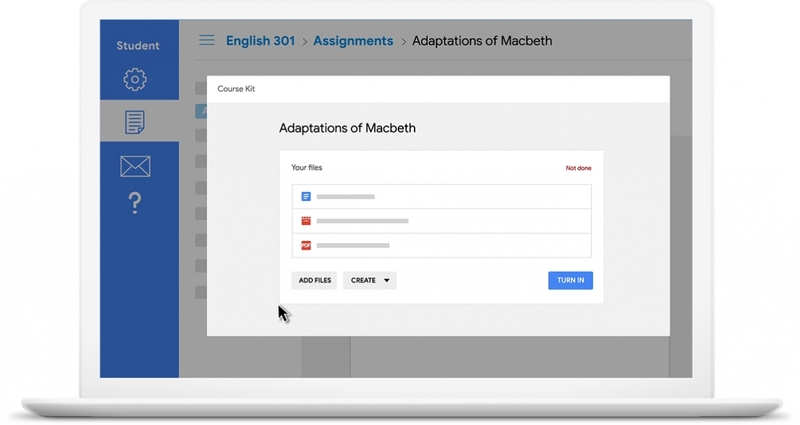 The Center for Innovation in Teaching and Learning was part of a pilot program this past spring to test Google’s new Course Kit assignment and embed tools that allow for submissions from Google drive into Course Site, seamlessly integrating Google’s popular productivity apps with Lehigh's Learning Management System (LMS). If you would like to work with Lehigh's Center for Innovation in Teaching and Learning (CITL) on a course you are teaching in 2019, please submit a brief proposal by Friday, November 16th, 2018. Please read on for some teaching-related grant opportunities and for some special areas of focus.